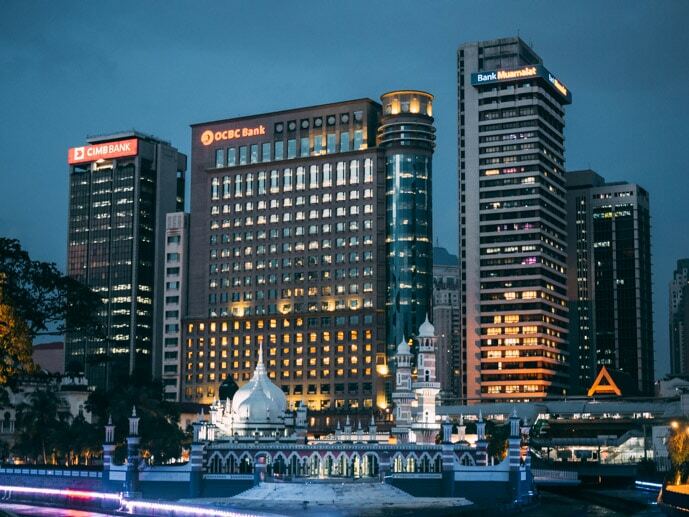 Kuala Lumpur has a beautiful mix of modern and traditional. 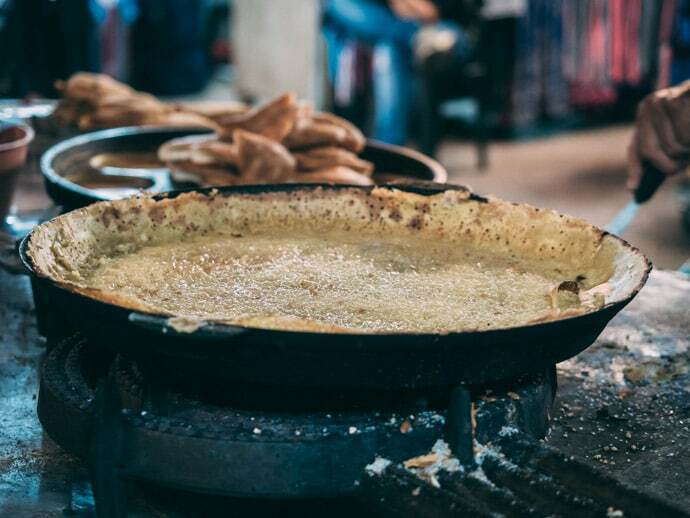 Here you will find street food and temples alongside luxury hotels and massive shopping malls. 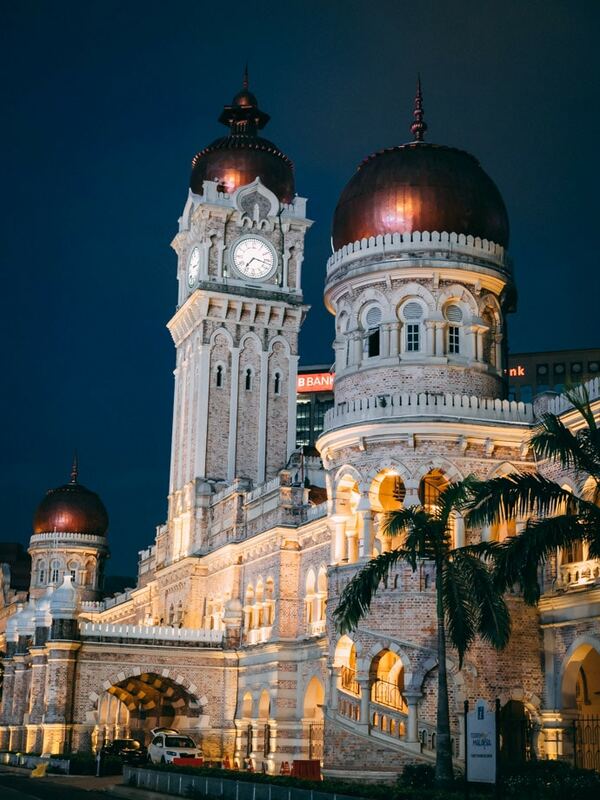 Being so multi-cultural, in Kuala Lumpur, you will experience the different cultures of Malay, Chinese and Indian in one place. 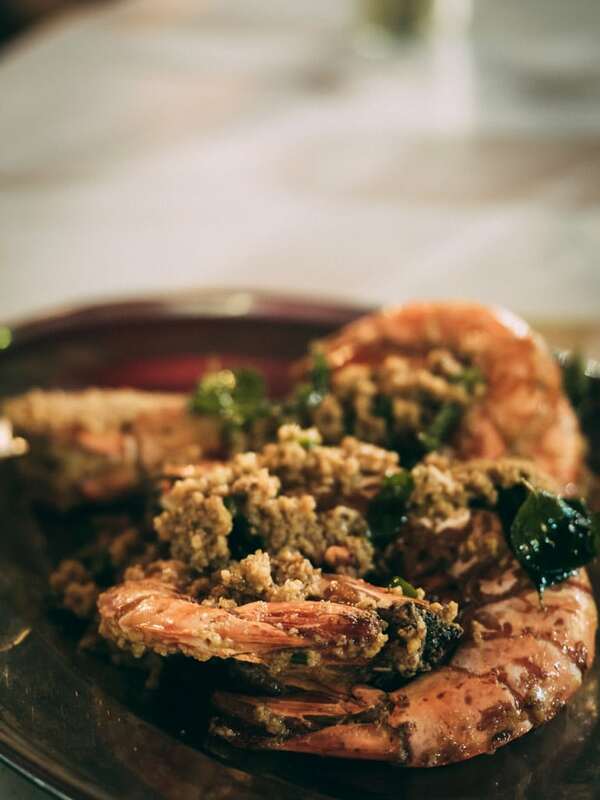 Which also means experiencing all the delicious cuisines that go with them. Kuala Lumpur was one of the first places Chris and I travelled to together, about 7 years ago. 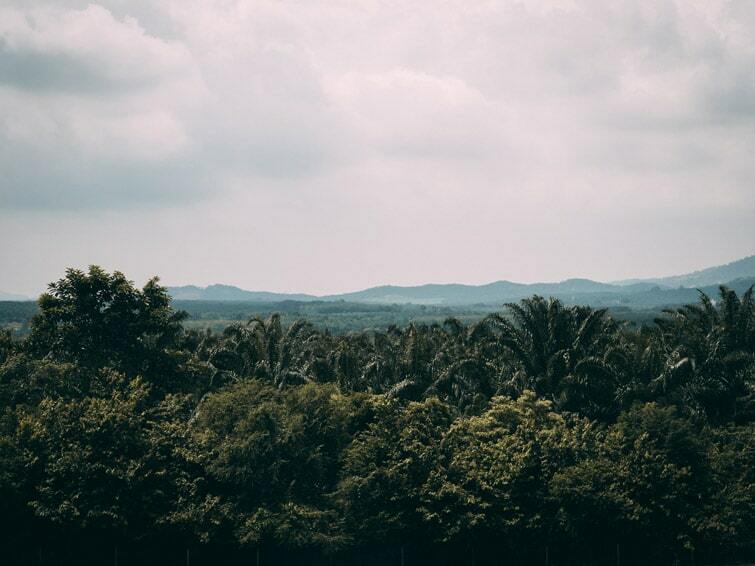 We recently returned and spent a month in Kuala Lumpur. 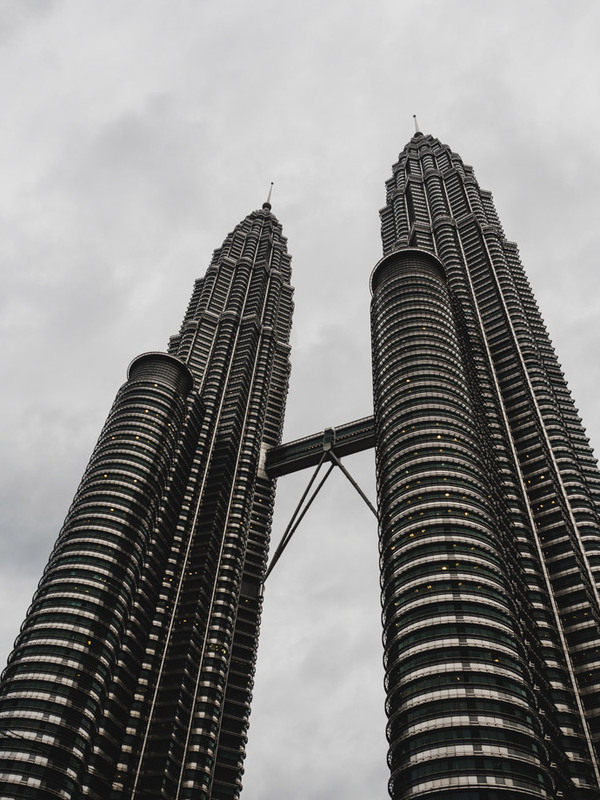 Here’s our guide to Kuala Lumpur Malaysia so you can enjoy the best of Kuala Lumpur + a printable guide to Kuala Lumpur at the end of this post. 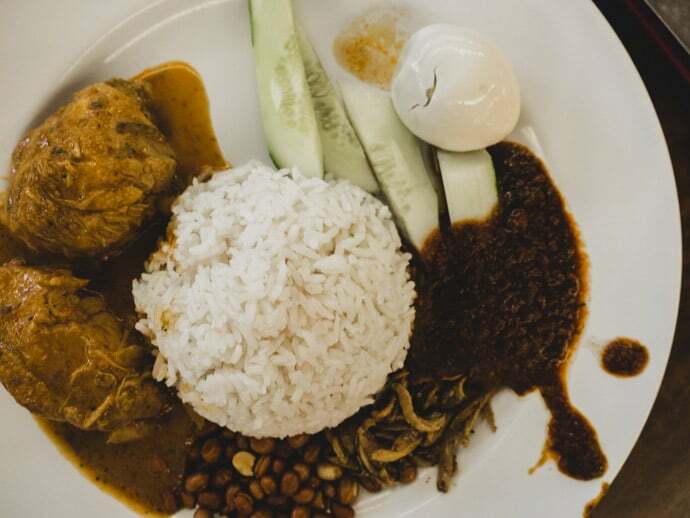 To us, Kuala Lumpur is much less about ticking off sites, as it is about eating and exploring neighbourhoods. 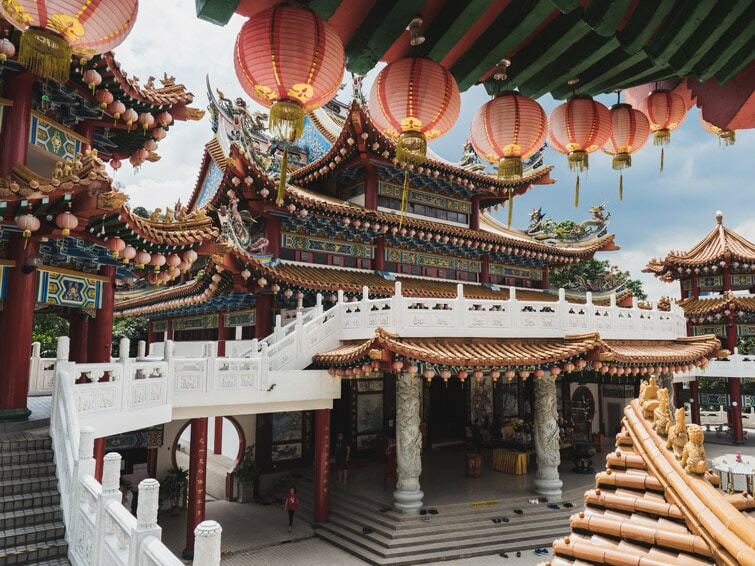 Some neighbourhoods definitely worth exploring are Chinatown, Little India (Brickfields), the Heritage area and the Golden Triangle area. The Golden Triangle area (also Kuala Lumpur CBD) of Kuala Lumpur includes KLCC and Bukit Bintang areas. At KLCC, you will find one of the best shopping malls in Kuala Lumpur, Suria KLCC Mall, as well as KLCC Park and the Petronas Towers. Walking through the park is something relaxing to do in KL, whilst you also get a great view of the Petronas Towers. Another place to get a great view of the Petronas Towers and Kuala Lumpur is Menara KL Tower. Bukit Bintang is a hub of activity and shopping. Here you will find many shops from places to get a bargain to high-end shopping malls. 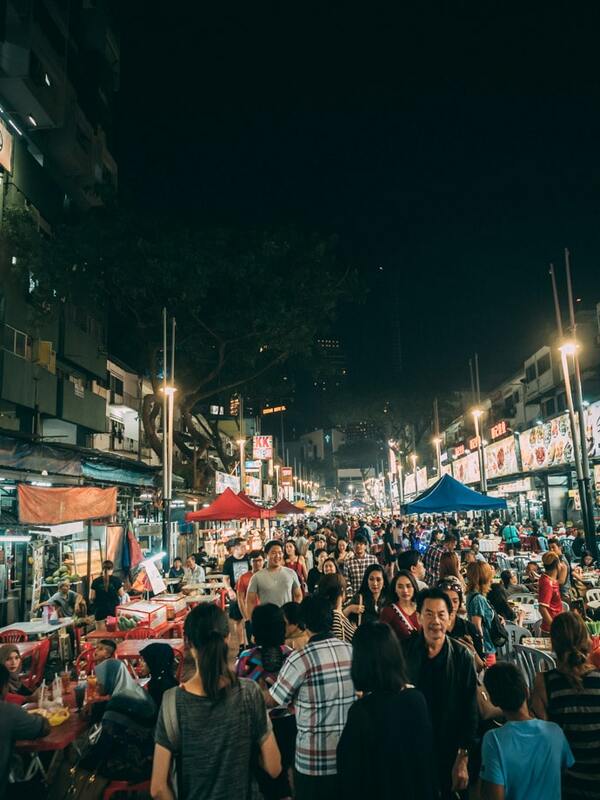 It’s also home to Jalan Alor, a street lined with eating stalls, a great place to come for dinner. There are also some nice restaurants in the Bukit Bintang area. 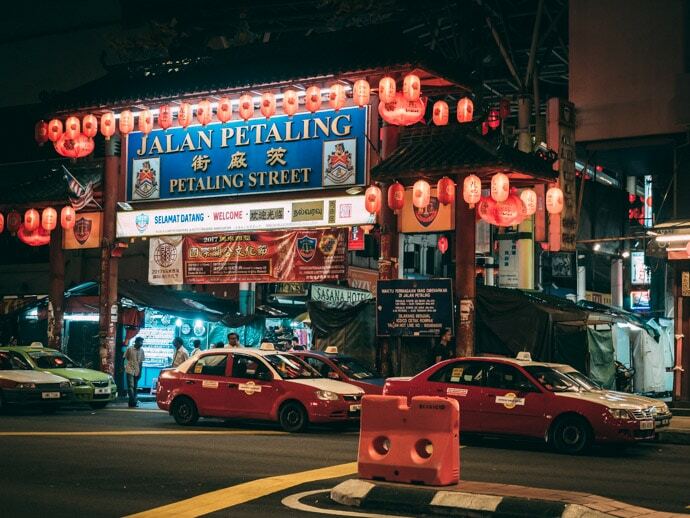 Chinatown is a great place to visit, particularly at night for the Petaling Street market. Although it can be super busy, it’s another side to Kuala Lumpur. You can also explore the Central Market here, which is full of different handicrafts and places to eat. 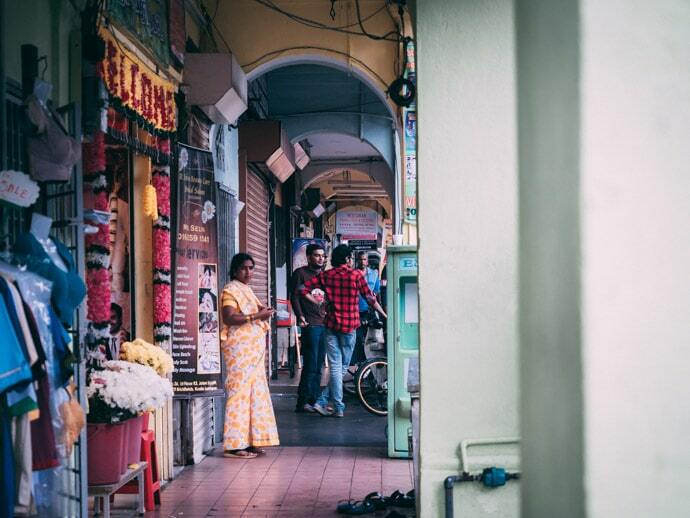 The Brickfields area, otherwise known as Little India, is one of my favourite areas in Kuala Lumpur. Besides the fact that I’m in love with Indian Food, the culture is so vibrant. 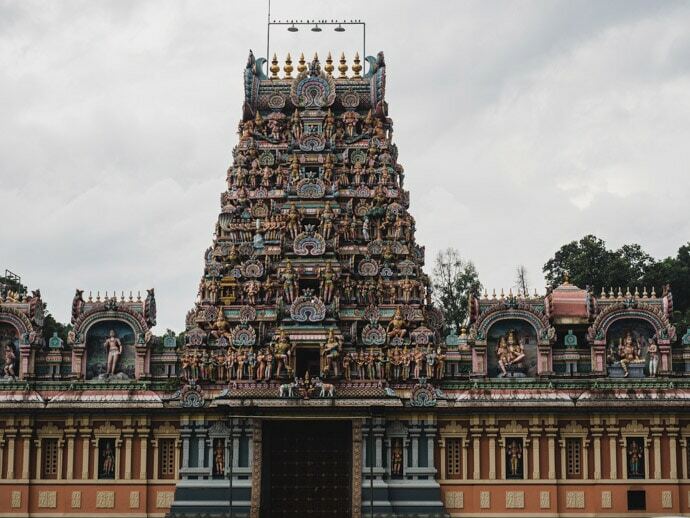 It’s also home to the striking Hindu Temple, Sri Kandaswamy Kovil. This area is also near KL Sentral. The Heritage Area of Kuala Lumpur is nearby Chinatown. 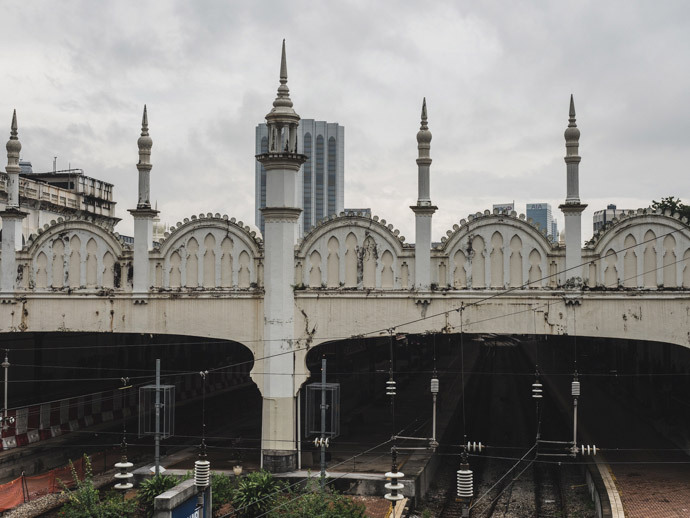 Here you will find Merdeka Square, Old Kuala Lumpur Railway Station, Masjid Jamek Mosque (one of the oldest mosques in Kuala Lumpur and a beautiful structure) and Sultan Abdul Samad Building (19th-century building on Merdeka Square). Another thing we loved doing was visiting Thean Hou Temple. 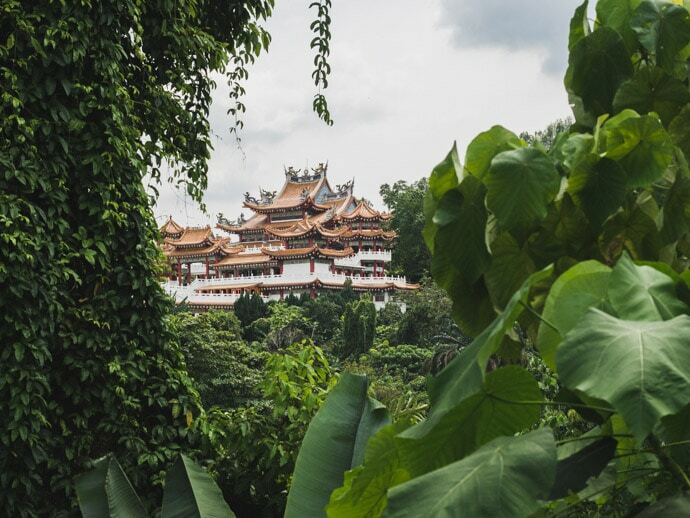 A beautiful temple with great views over Kuala Lumpur. For places to visit near Kuala Lumpur, you can visit Batu Caves which is only about 30 minutes away by train. If you’re a fan of rooftop bars, KL has a lot of them. 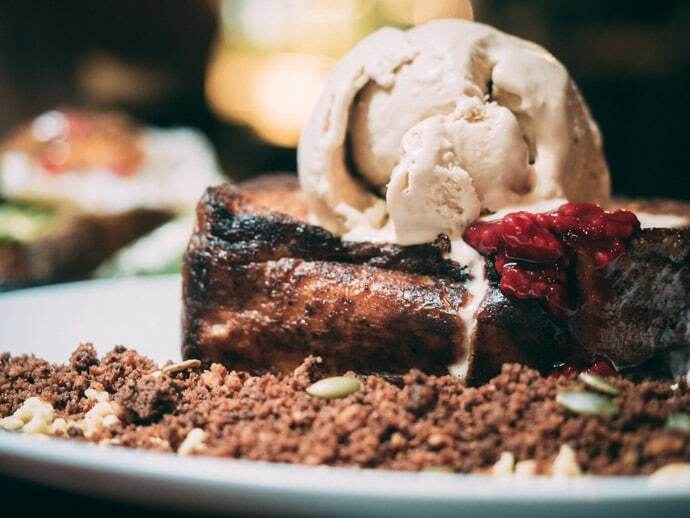 We’ve been to Luna Bar, and Skybar and Marini’s on 57 both look nice. The first time we visited Malaysia, we pretty much chose it because of the food. The food here is delicious, with such a wide variety of cuisines. 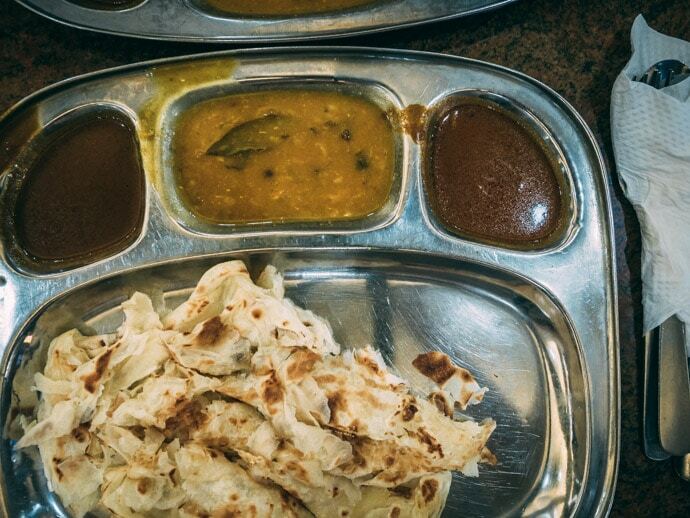 Some of our favourite dishes to eat in Malaysia include Roti Canai, Laksa, Dosai, Nasi Lemak, Nasi Kandar, Wanton Mee, Chicken Rice, Beef Rendang, Banana Leaf Rice and Satay. 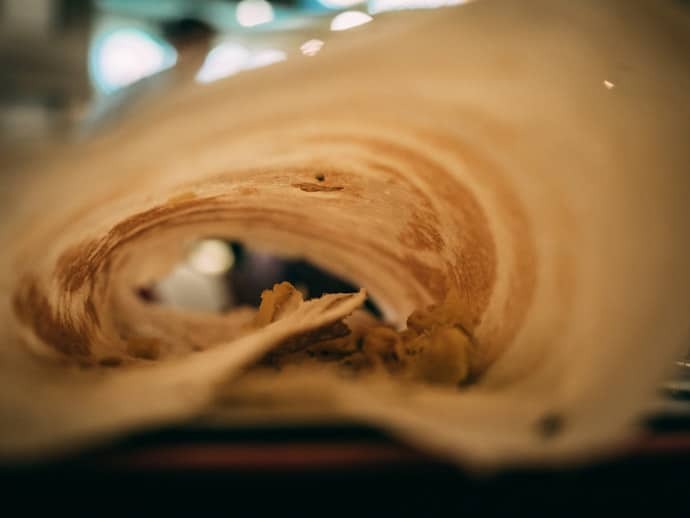 Some of our favourite desserts include Pisang Goreng, Cendol, Roti Kaya and Apom (otherwise known as Appam Balik). 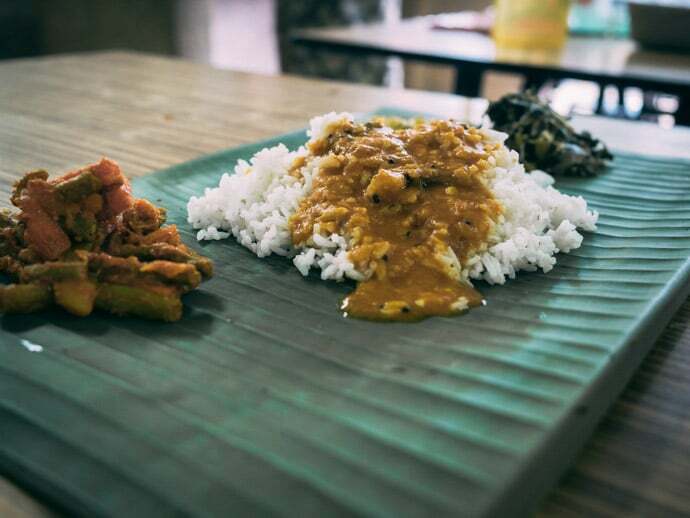 In KL, we loved the Banana Leaf lunch from Vishal food and catering in Little India. Here I had curry dhal, vegetable dishes, rice, curry sauce and Chris got Biriyani Rice with Chicken and Egg. We always love an Iced Masala Chai. For Nasi Kandar, we loved Nasi Kandar Pelita in the KLCC area. You can also get a Roti Canai and Roti Kaya (Roti with coconut jam) here. 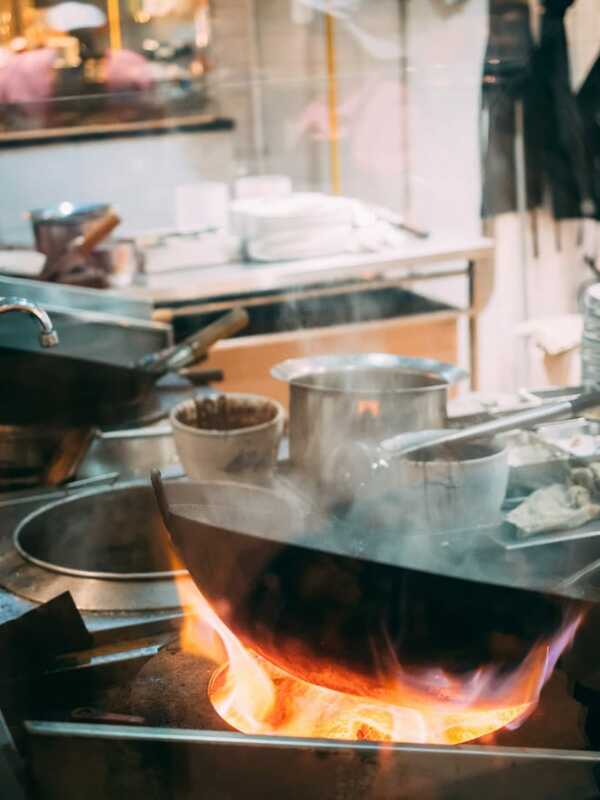 For a buzzing atmosphere and one of the best things to do in Kuala Lumpur at night, you have to try an evening eating at Jalan Alor in Bukit Bintang. 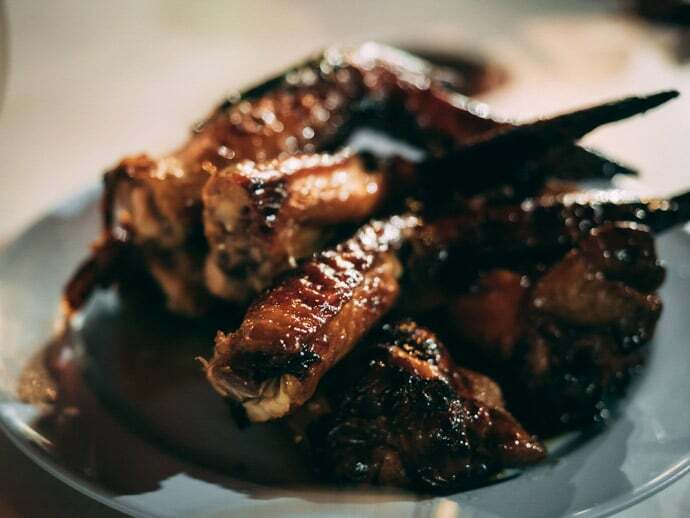 Although there are many food stalls to choose from, we love Wong Ah Wah (WAW). I have to admit, the service we got there left a lot to be desired, but I’m hoping that we caught someone on a bad day and this is an exception. What we ate was absolutely delicious. Highly recommend the Signature butter prawns and the chicken wings. For a bunch of KL’s best street food in one area, try the Lot 10 Hutong food court in the Lot 10 Shopping mall in Bukit Bintang. 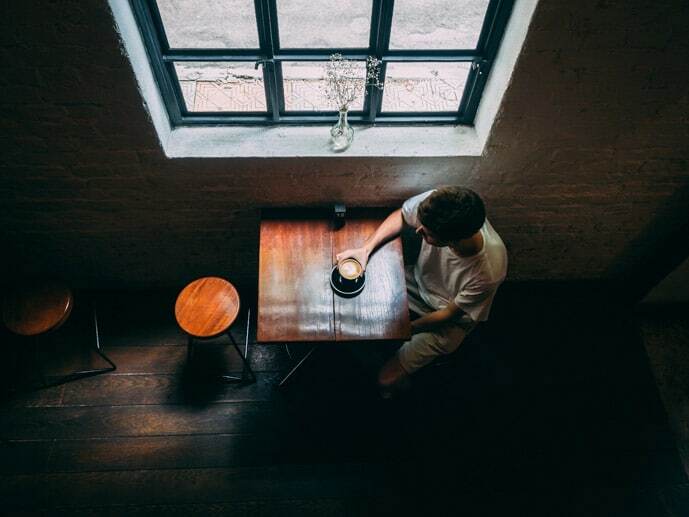 If you’re looking for some of the best cafes in Kuala Lumpur, VCR cafe is a great option. 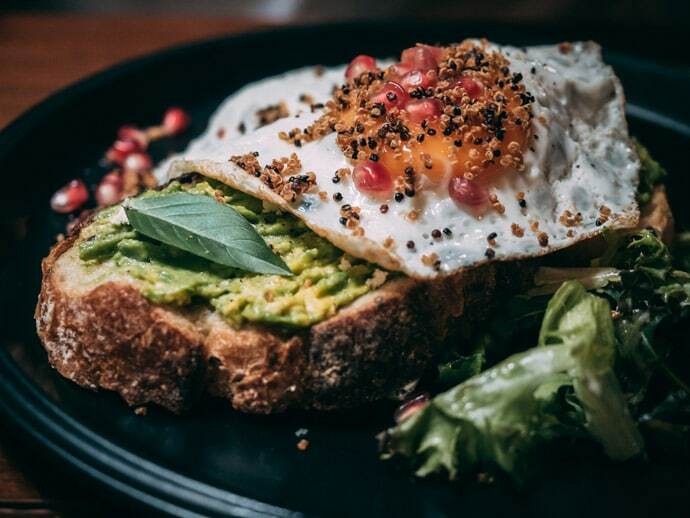 Here we had tasty Avocado toast, French toast and a flat white. 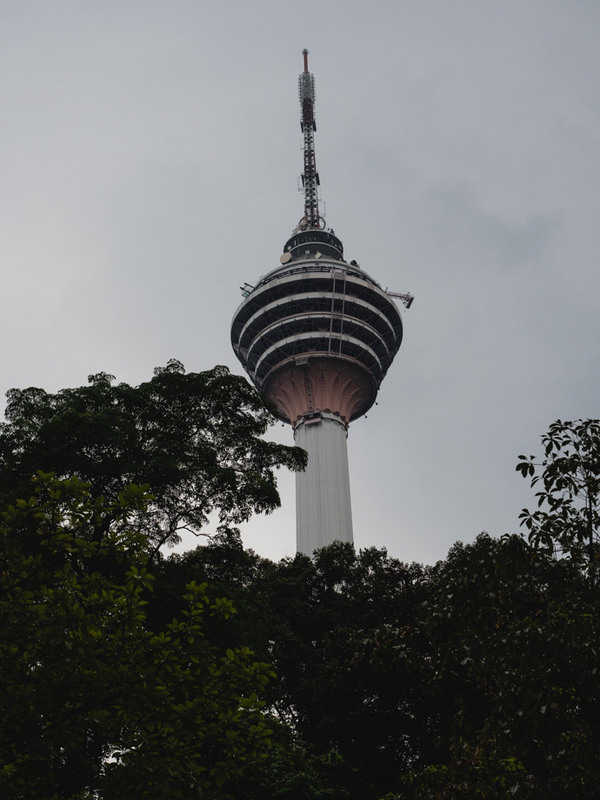 No KL city guide is complete without mentioning shopping, love it or hate it, Kuala Lumpur is a city that loves to shop. From bargains to high-end brands, there’s a little bit of everything. So if you’ve come to Kuala Lumpur to shop, here are some of our favourite shopping centres. Suria KLCC was our ‘local’ shopping centre during our month in KL. It’s modern and full of a range of different brands and shops. The food court here is surprisingly good, with our favourite places being Chicken Rice, Nasi Lemak and Saravanaa Bhavan Indian. Isetan is a great department store and supermarket. I think you will find most things you need in Suria KLCC. Bukit Bintang is another area with a lot of shopping malls. One of the best is Pavillion KL. Not only is it absolutely massive, but again has a huge range of brands and shops. Lot 10 is another good option in Bukit Bintang. Nu Sentral is a good option for the KL Sentral location and is actually connected to KL Sentral Station. The St. Regis Kuala Lumpur – Beautiful 5-star hotel with a classic design in KL Sentral location. Check prices here. The Ritz-Carlton, Kuala Lumpur – Luxury Hotel in the Bukit Bintang area. Check prices here. 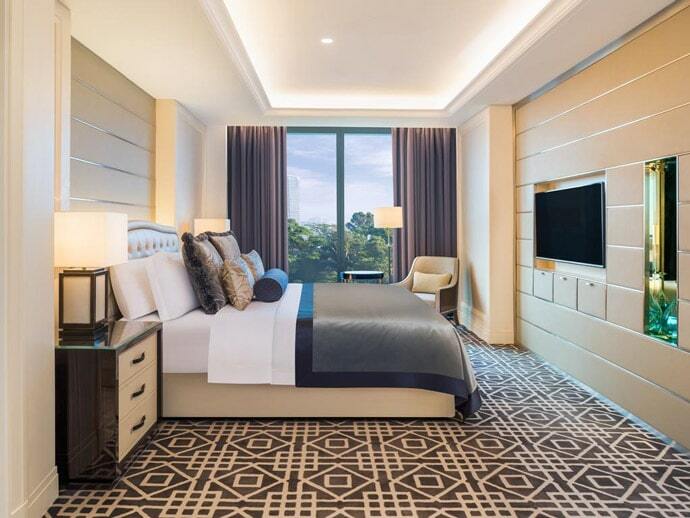 Grand Hyatt Kuala Lumpur – An excellent location in KLCC, near KLCC Park and the Petronas Towers. Check prices here. The Majestic Hotel Kuala Lumpur, Autograph Collection – Beautiful hotel with a colonial heritage near KL Sentral. Check prices here. There are also some great options in Kuala Lumpur on Airbnb. Click here for $50 credit towards your first stay. How to get to Kuala Lumpur? You can fly into Kuala Lumpur International Airport and then reach Kuala Lumpur by the KLIA Express train. Search for flights to Kuala Lumpur here. If you’re coming from within Malaysia or neighbouring countries, you can also get the train to Kuala Lumpur. We have taken the train from Penang to KL which was a great experience. You can book this online at Easybook. There are also good bus services between Kuala Lumpur and Singapore. We have taken the Aeroline bus service from Kuala Lumpur To Singapore which was also fantastic. You can also book this online through Aeroline. Although Kuala Lumpur is not the most walkable city, you can definitely walk around if you stay somewhere central like KLCC. Uber is extremely popular in Kuala Lumpur, and they also have a great public transport system. This includes the LRT, Monorail and RapidKL bus service. Kuala Lumpur is a destination that can be visited all year round. The temperatures will remain hot throughout the year, and often you will experience a heavy downpour of rain, but it usually it won’t last all day. May to July are considered the dryest months of the year to visit Kuala Lumpur. But we have visited Kuala Lumpur in October/November and January/February and although there have been heavy downpours we’ve also had great warm weather during this time too. 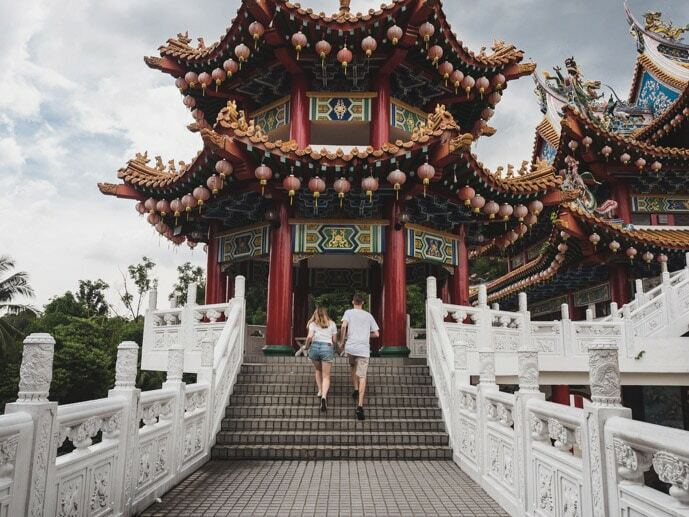 There a few options for places to visit near Kuala Lumpur, including Malacca (Melaka), Batu Caves and the Cameron Highlands. Batu Caves are doable as a half or full day trip from Kuala Lumpur, being only 30 minutes on the train. And although Malacca and the Cameron Highlands are possible as day trips from KL, I’d argue that they both warrant a 1 – 3-night stay. Malacca is about 2 – 3 hours south of Kuala Lumpur, renowned for its colonial heritage and delicious food. The Cameron Highlands are about 4 to 5 hours away, where you can visit the tea plantations. So unless you want to spend most of you’re day travelling, It’s probably better to spend a few nights here. How many days should you stay in Kuala Lumpur? On our first trip, we spent 3 nights in KL, which was long enough to see the main neighbourhoods and explore. As a minimum, I would say 2 nights, and to be able to experience most of the highlights of KL I would suggest 4 nights. 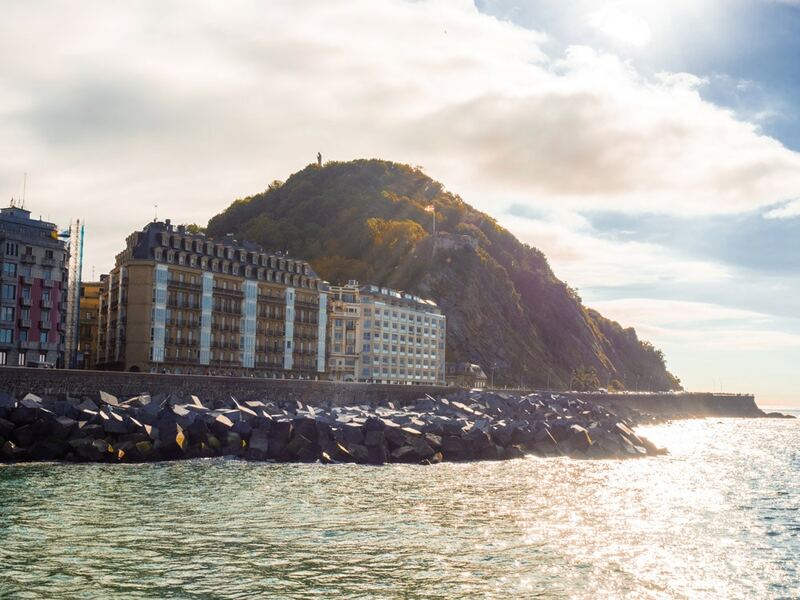 Then it might be a good idea to add a few nights at either Malacca or the Cameron Highlands or explore other areas of Malaysia like Penang and Langkawi. Always be prepared for a downpouring of rain. 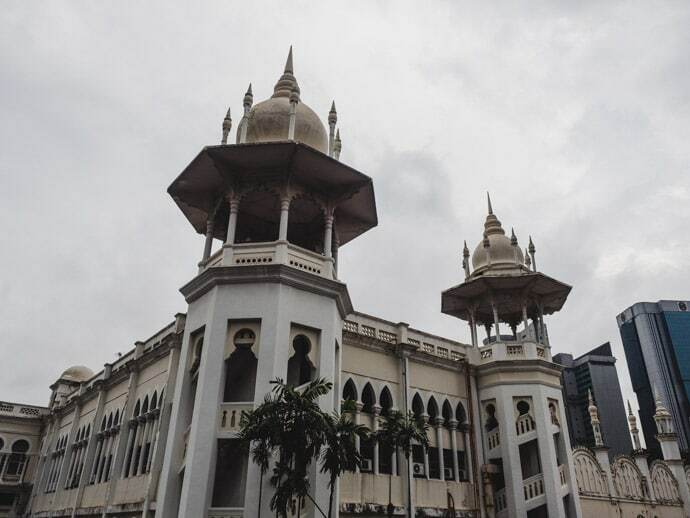 Explore a few different neighbourhoods of KL to get a better feel for the city. 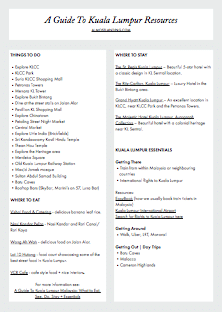 Download or print off our guide to Kuala Lumpur below to help you plan your trip to KL or take it with you on your trip. For more information visit Kuala Lumpur tourism and Malaysia tourism. Get your free printable guide to Kuala Lumpur resources here.